The 2019 crop of first year seminarians at the Good Shepherd Seminary. There are great signs of hope amid turbulent times in the Church, according to the rector of Sydney’s seminary Father Danny Meagher. Father Meagher has welcomed 12 newcomers to the Good Shepherd Seminary, bringing the total number of men in formation for the priesthood there to 54. Coinciding with an unprecedented Vatican summit on child protection and clerical sexual abuse, and in the wake of last year’s Royal Commission into the Institutional Responses to Child Sexual Abuse, the willingness of young men to consider entering Holy Orders is a sign that there is much hope in the future of the Church in Australia, Father Meagher told The Catholic Weekly. “There are stormy seas but the Lord is with us,” he said, adding that this year’s crop of newbies is not the largest he has seen but is a healthy crop. Archbishop Anthony Fisher OP led the celebration of Mass for the opening of the Seminary year for students and their families on 20 February. “There’s still hope. 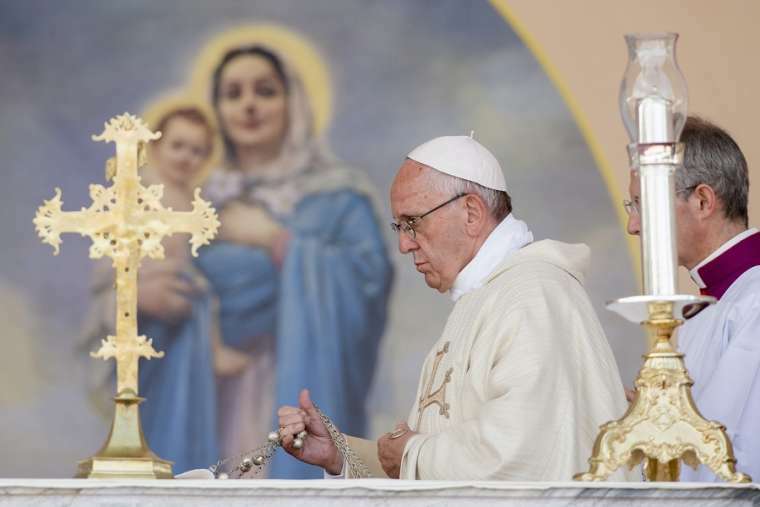 People are still being called to the priesthood and have a desire to serve the Church and its people,” he said. This week the new recruits gathered with the current students at a Mass celebrated by Archbishop Anthony Fisher OP to officially open the seminary year, before going on a five-day retreat. They will then come back to begin their discernment and formation under the first year director Father Arthur Givney with input from other seminary staff, and undertake a course on Christian Spirituality at the Catholic Institute of Sydney. Stephen Howard, 25, from the Archdiocese of Sydney said he “immediately felt comfortable” upon moving into the seminary this month. 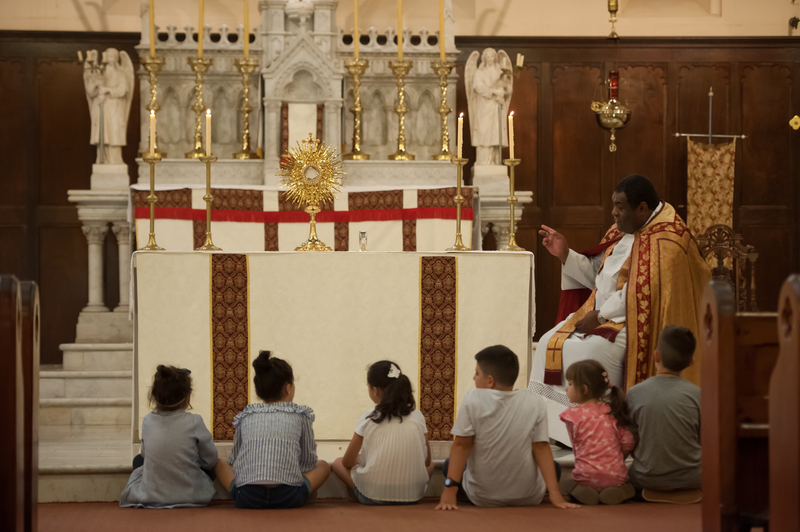 “But the intensity of classes and prayers started straight away and I’m sure we are in for a very satisfying spiritual year addressing all aspects for our formation from gardening to contemplation to academia and grasping at God’s will,” he added. Shayne D’cunha, 22, from the Diocese of Broken Bay said that he thought his new home has a “wonderful balance of prayer, work and community”. “So far seminary life has been wonderful,” he said. Good Shepherd’s 54 seminarians are in training for the Archdiocese of Sydney and other NSW dioceses, with eight living in parishes on pastoral placement, said Father Meagher. This year five Good Shepherd seminarians will be ordained to the priesthood and six to the diaconate, all for NSW. Father Meagher said that one of his ongoing priorities is working with the archdiocese’s safeguarding office to make sure students receive the appropriate training in professional standards. “It’s important to make sure they are always up-to-date with the needs of the day,” he said. At the opening Mass, Archbishop Fisher said that it was a “great pleasure” to welcome the first years and commended all the seminarians for their “courage and generosity” in giving themselves “heart and soul to discernment and formation for service”. It shouldn’t be happening. With the reputation of Catholic priests and the Church at an all-time low, both of the Archdiocese of Sydney’s seminaries are booming. Rather than turning away from the possibility of the priesthood, young men are choosing to enter seminary formation because they believe Christ may be calling them to a life as priests. The interesting question is why? 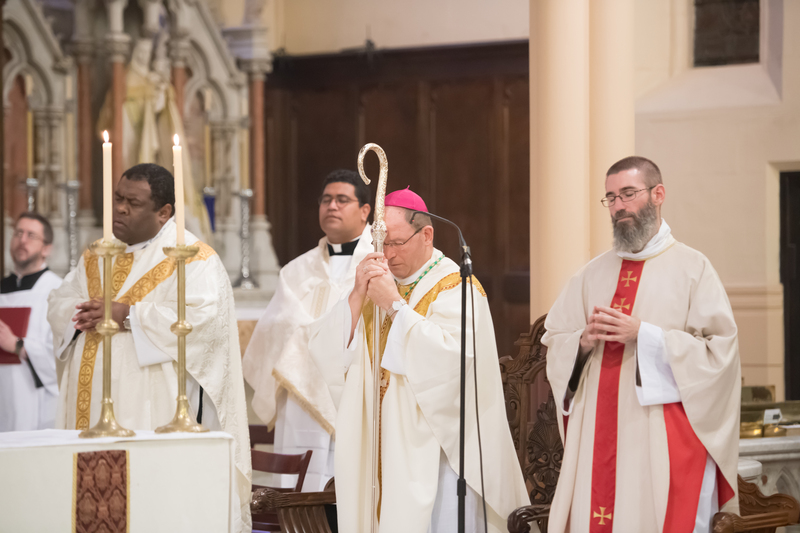 The Seminary of the Good Shepherd in Homebush, which produces priests for service in archdiocesan parishes, is experiencing a renaissance of interest with 51 seminarians from ten dioceses in formation—the largest number the seminary has had in over a decade. “I believe there was a similar number about ten years ago,” Fr Danny Meagher, Rector of the seminary, told The Catholic Weekly. This year eight new seminarians entered the Homebush Seminary. There will also be two ordinations to the priesthood and seven to the diaconate in 2018. 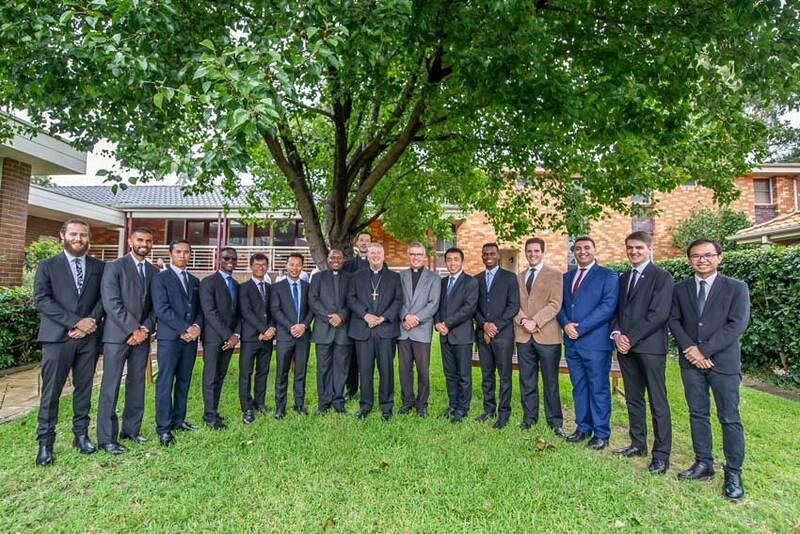 The seminarians range in age from 21 to 41, and while most were born and bred in Australia, many are from diverse ethnic backgrounds including Vietnamese, Filipino, Iraqi, Ugandan, Nigerian and Italian. There are also three Sydney seminarians currently undertaking studies in Rome. 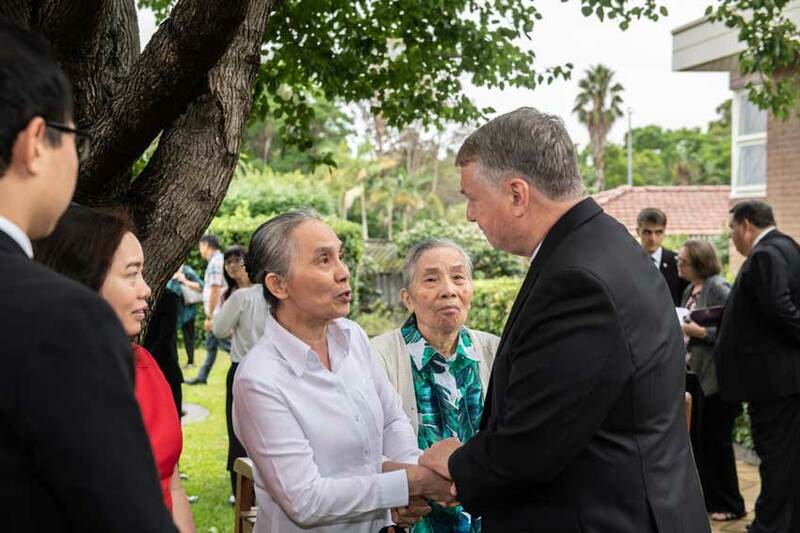 Archbishop Anthony Fisher OP has appointed Schoenstatt Sister Isabell Naumann ISSM as the President of the Catholic Institute of Sydney, a key role in the Archdiocese of Sydney and the Church in Australia. Sister Naumann’s appointment is also significant as she becomes the first woman to hold the position of President of the Institute, established in 1954; she is its ninth president. She will take up her appointment on 26 February, the commencement of the academic year. The appointment is a key role in the Church in Australia because the CIS is the only ecclesiastical educational faculty in the country. As such, it is officially established under the auspices of the Holy See and the only educational institution which can offer ecclesiastical (sometimes called ‘Roman’) degrees. The President’s appointment (made by the Chancellor, Archbishop Fisher) must also be approved by the Congregation for Catholic Education in Rome. Although laity do – and have – studied at CIS, it is primarily responsible for the theological and philosophical education of seminarians, the future priests of the Archdiocese. 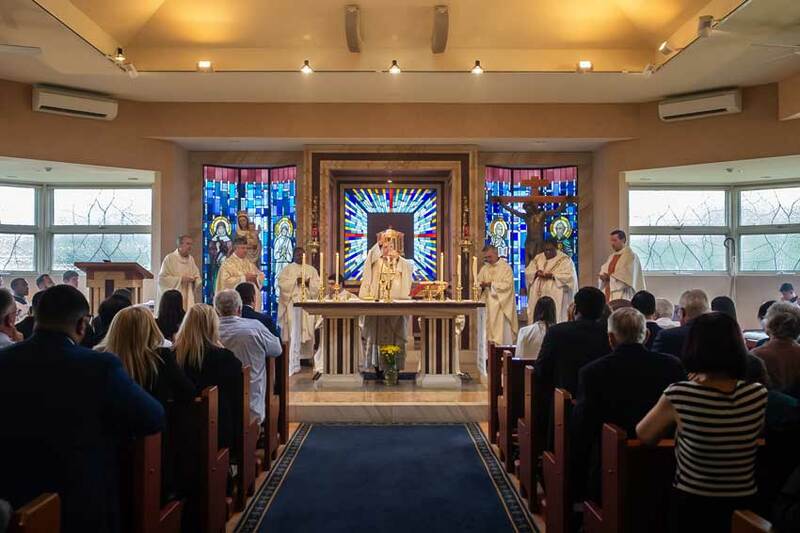 However seminarians from religious orders or seminaries such as the Neocatechumenal Way Redemptoris Mater Seminary in Chester Hill also undertake their theological and philosophical studies at the Institute. A total of 163 students were enrolled at the Institute in 2017. Sister Isabell, a specialist in Mariology, has taught at CIS since 2005, teaching undergraduate and graduate courses in Systematic Theology, particularly in the area of ecclesiology. She was also the Dean of Studies at the archdiocesan Seminary of the Good Shepherd in Homebush. However Sister Naumann is not only a highly-regarded academic on the Australian Catholic scene; she is also a member of the Pontifical Council for Culture in Rome, having been first appointed to the Council by Pope Benedict XVI in 2008 and reappointed by Pope Francis in 2014. She takes over the President’s role from Dr Gerard Kelly, a priest of the Archdiocese, who served as CIS’s President from 2004 and who teaches Systematic Theology at the Institute. The degrees offered by the Institute include the STB (a Baccalaureate of Theology), the STL (a Licentiate in Sacred Theology, equivalent to a Master’s degree at a secular university) and the STD (a Doctorate in Sacred Theology). Archbishop Fisher also announced the appointment of Dr Rohan Curnow as Deputy President. Dr Curnow, who has lectured at CIS since 2010, will also maintain his current role as Academic Dean.